We work very closely with Mitel, a global leader with more than 60 million customers in over 100 countries. The company offers a full range of business communication products and services, from phones and contact centre solutions to cloud hosting and collaboration software. Global giant Samsung is well known for innovation and high quality. Its immense portfolio includes a full range of business communications products and services. We are Platinum partners. We are Gold Partners with Gamma, a fast-growing company that provides voice, data and mobile services to UK businesses. Because it has built its own network, which is now very substantial, it has more control and can offer a very high level of service. Part of the global giant BT Group, BT Wholesale provides a full range of communications products and services to ISPs and other service providers. In the SME sector, Oak leads the communications management market. Their key products include recording and logging calls; reporting so that managers have the information they need to develop; and combining business and telecoms data to make organisations more efficient. Founded in 2014, Plan.com is an ambitious and imaginative company that is growing very quickly. With a real commitment to providing the very best customer service, it provides a full range of business communications solutions. 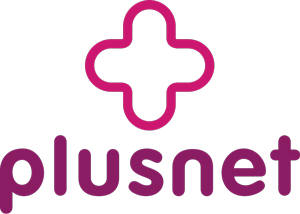 Plusnet owns and manages a UK-wide broadband platform. Backed by its parent company, BT, it has been able to invest heavily in both network capacity and traffic management, putting it in a position to offer a high-quality, reliable service. Red Box Recorders specialises in data capture. Its products record not just voice calls but video, instant messaging and PC screens as well, even if you use different systems for different media. They also store the data and, critically, enable you to search and analyse it quickly and easily. Tollring is a market-leading software developer. Its tools, developed in-house, help businesses to control all kinds of communications information and resources. It specialises in analytics, call recording, telecoms expense management and fraud detection. Virtual1 works exclusively in the wholesale market, offering a high-quality network that now operates across much of the UK. A member of the Dell family of businesses, VMware is a software specialist that helps businesses to extract maximum benefit from digital transformation. A relatively new entrant to the marketplace, Zest4 is expanding rapidly. It offers a wide range of products, including ones which work with very new technologies such as machine-to-machine communication and the internet of things.